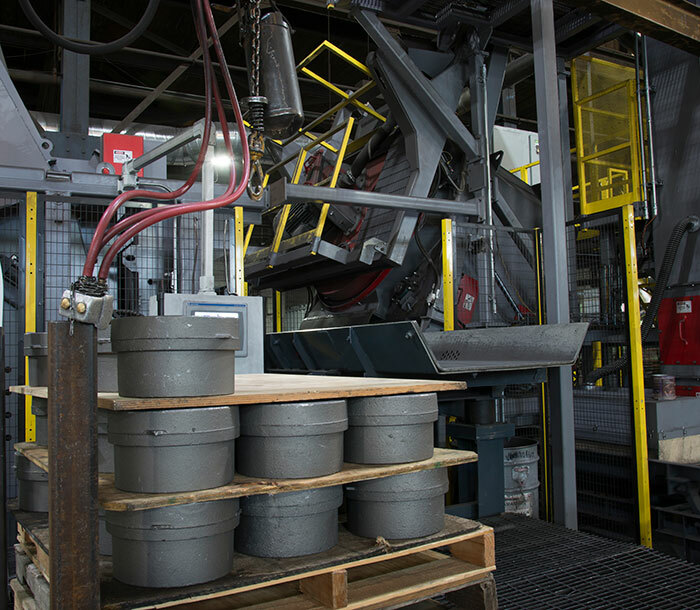 Once the iron casting has solidified, a solid part along with a series of runners and risers known as sprue are contained in the mold. At this point, the weights and jackets are removed from the mold and then the mold is subjected to a shaking process that separates the sand from the part. A minimum shakeout time is maintained to produce the correct as cast structure. This newly separated sand is sent through a reclamation process for reuse. Next, the sprue is separated from the casting with a hydraulic wedge. The removed sprue, like the sand, is recycled for reuse in future melts. 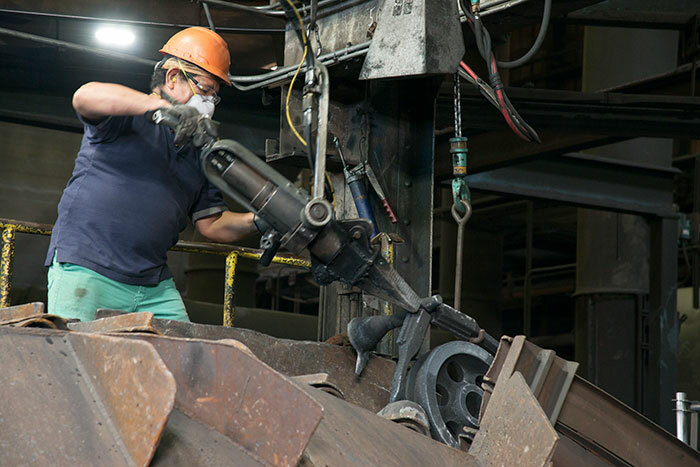 Following sprue removal, castings are processed through an abrasive shot blaster that removes any remaining sand and also cleans the casting. 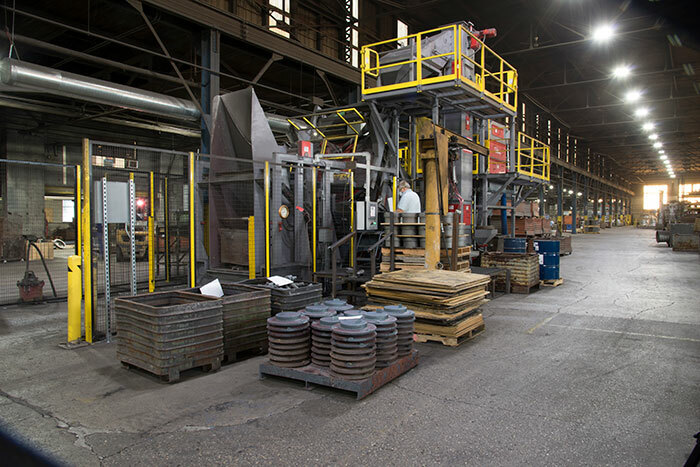 The casting then receives a series of grinding operations to remove any excess material (parting lines, gate connections, and core flashings). The completed casting is now ready for stacking in a shipping container.